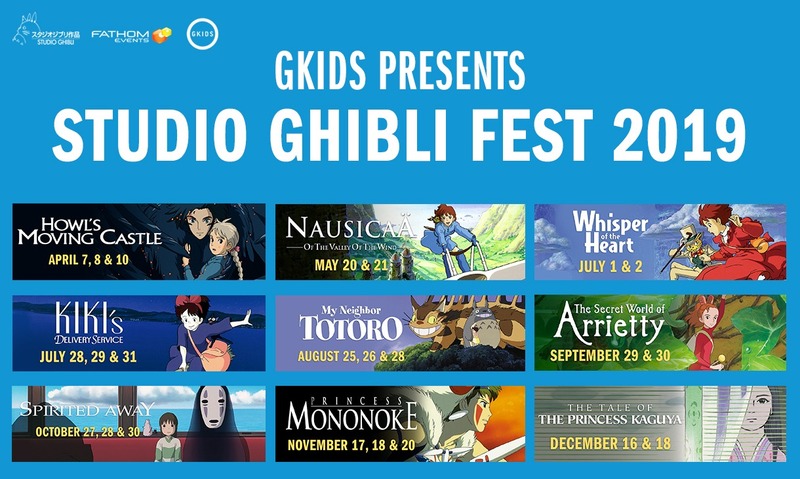 And these are Ghibli movies I do not like to varying degrees. I won't rank them all, also haven't seen a few yet due to availability. Top 5 though? Honestly, my least favorite and only one I can never recommend is Spirited Away. None of my friends liked it either. Like some of the cultural stuff is neat, but none of it comes together well. I really want to see Grave of the Fireflies and Porco Rosso soon. Although even if they were playing I can't justify travelling an hour and a half to see them. There's a good handful I haven't seen...Only Yesterday, Pom Poko, My Neighbor the Yamadas, Princess Kaguya, Marnie, and Ocean Waves. Also none of the short films. I own most all of them on DVD/Blu Ray and really need to re-watch some again and others for the first time (just like games, it's always "when I get around to it"). Kiki's and Porco Rosso are definitely at the top of my list. I remember Pom Poko being a little on the disappointing side. Not sure I could sit through Grave of the Fireflies again, that movie is depressing. Princess Mononoke and Spirited Away are straight up masterpieces. Everything else is varying degrees of good to great. Have yet to watch: From up on Poppy Hill, Only Yesterday, Pom Pokko, The Cat Returns, Porco Rosso, Ponyo etc. First seen Princess Mononoke in the early 2000s from noticing a Blockbuster (video-rental store) giant movie poster. Was intrigued why I missed out seeing trailers or commercials of this film. Watched this film shortly after when I was a child. Which led me to renting My Neighbor Totoro on VHS that captured a haunting innocence. Eventually leading up the US theatrical release of Studio Ghibli's next masterpiece Spirited Away (before Disney), I asked my parents to see it - it was in limited theaters and we drove over 2-hours away just to watch it. Caught up on other films down the line on DVD. Easily 9-10/10 for majority of films listed- the only film I was disappointed in was Tales of Earthsea. There's only a handful of movies that have broke me after watching them, one of them being The Mist (2007) and the other being Grave of the Fireflies lol I'm more than happy to never see it again. Particularly, my favorites are Hotaru no Haka (Grave of the Fireflies) and (especially) Omoide Poroporo (Only Yesterday). In time, I’m really looking forward to watching Kimitachi wa dou Ikiru ka (How do You Live?). I really love the book! Howls moving castle is good but flawed. It's nowhere close in quality to nausicaa, Laputa, and spirited away. Spirited Away instantly became one of my favorite movies when I rented it from a Hollywood Video years ago.